Editor’s Note: For more contextual information regarding the elections, please refer to Ornella Teta’s previous article, “DRC’s Election: Corruption or a Peaceful Democratic Transition?” , published prior to the elections last month. The following article serves as an update. 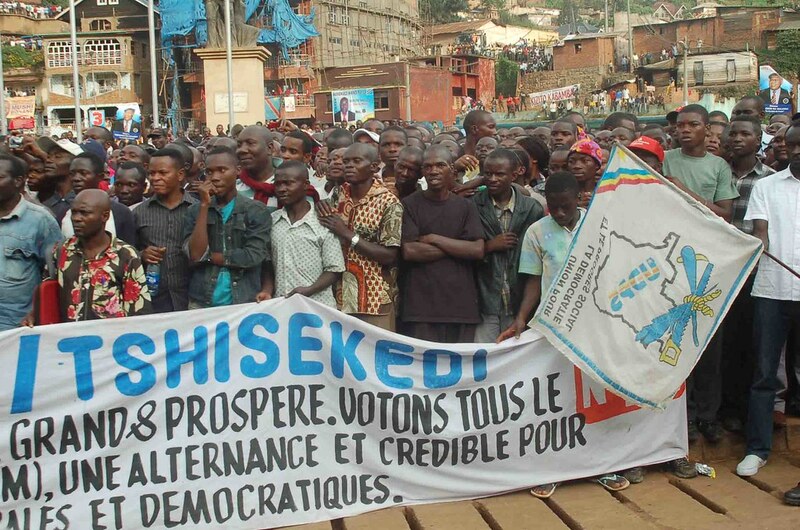 Supporters of Felix Tshisekedi, leader of the UDPS. The most anticipated event of 2018 in the Democratic Republic of Congo took place on December 30th: the presidential election. With 75, 000 polling stations around the country and 46 million registered voters, Emmanuel Ramazani Shadary, Joseph Kabila’s preferred candidate, ran against opposition candidates Martin Fayulu and Félix Tshisekedi. Fayulu, the representative of the coalition Lamuka (“wake-up” in Lingala) promises a “dignified and prosperous Congo”. On the other hand, Félix Tshisekedi is the leader of the Union for Democracy and Social Progress (UDPS), founded by his father as an opposition party to Mobutu’s dictatorial regime. After the elections, as Congolese impatiently waited for the final verdict, the streets of DRC were surprisingly calm. On January 10th at 11 p.m central local time, the independent national electoral commission, CENI, finally released the long-awaited results. Félix Tshisekedi won the election by 3.5 percent with 38.57 percent (7.05 million) of supporters against Martin Fuyulu, who came very close with 34.83 percent (6.37 million). The two opposition members led the race by at least 10 percent as Emmanuel Shadary collected only 23.84 percent (4.36 million) supporters. This result represented a chance for Congolese to finally hope for meaningful political and economic progress. However, just as Congolese were celebrating the victory of the opposition, the moment of triumph quickly soured. A few hours after the publication of the results, national organizations, the international community, and the African Union began to question the authenticity of the polls. They suggested the elections had been rigged and the people of DRC had been cheated. Felix Tshisekedi, leader of UDPS and winner of the presidential elections. Martin Fayulu, opposition candidate and representative of Lamuka coalition. of the elections. 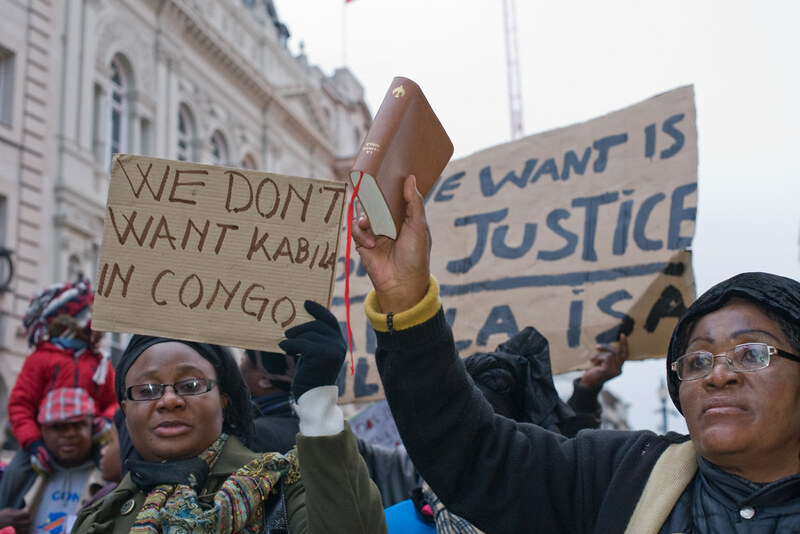 Furthermore, Kabila is despised in the northern regions. Thus, there are strong political motives behind postponing the votes in these provinces, making the election process unfair and corrupted. Mr. Katumbi, former potential candidate in the election, wrote on Twitter that the deferment of the three provinces’ elections is “unjustifiable”. Residents of North Kivu could not hide how they received the news. A civilian expressed that publishing final results when the entire nation has not voted shows the government “must really think we are idiots!” Many Congolese opposed the provincial delays because the country has alternatives; after all, this is the DRC’s tenth outbreak in 40 years and as Joseph Kabila mentioned when interviewed by BBC “Congo has expertise against Ebola. […] We will certainly find a way to face the challenge.” Rather than ‘facing the challenge’, it appears CENI, which has been associated with Kabila’s government multiple times, has preferred to avoid it. 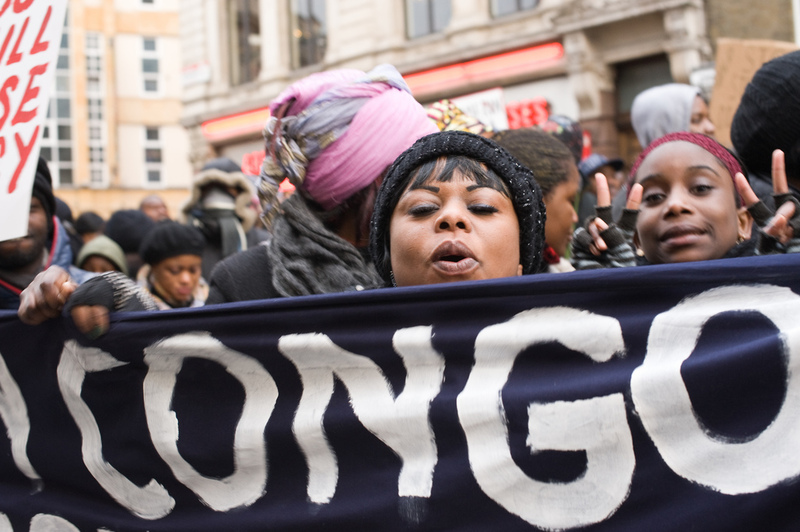 The population of Congo marching for justice and democracy. The other concern that caught voters’ attention is the electronic voting machines preferred by CENI instead of the traditional paper-ballot preferred by the voters. A Congolese correspondent explained to other sources that it was rare for African states to use electronic devices because there is a greater chance of cheating and less expertise concerning how they function. Voters were not confident of the electronic-ballot system’s reliability in ensuring fair elections. International observers sided with voters and concluded they were right to fear the worst. On polling day, many voters complained of logistical problems and claimed they were unable to vote because the machines, which were used for the first time, did not work. Local observers noted a couple days later that some machines had disappeared. Furthermore, on the day following the polls, the government cut off internet services to prevent factitious results from circulating. It is could be that the government wanted to prevent locals from obtaining access to international coverage of the elections which could ignite violent agitation, something that is not unfamiliar for Congolese elections. On the other hand, it is possible that the government wanted to minimize local and international correspondence to control the information exchanged in its favour. To this day, internet services have not been reinstated. Sources living near the border of Uganda and Rwanda and communicating through the use of neighboring countries’ internet services explained that the streets of many provinces were becoming agitated as they prepared to celebrate in anticipation of the opposition’s victory, but that conditions remained non-violent. They noted that most street demonstrations and gatherings predicted the victory of candidate Martin Fayulu, and many voters were surprised to learn that Tshisekedi won. * As a response to the discrepancy, several civil movements are contesting the results, including Lucha and most notably, the National Episcopal Conference of the Congo, CENCO. During the election, CENCO deployed 40,000 observers and assisted CENI in the collection of results. The Catholic NGO ran data at the polling stations and counting centers. Hours after the provisional results, they announced that the provisional results did not match their results and another candidate should have won. CENCO refuses to specify who, according to their data, is the ultimate winner because it wants to maintain its observer status. However, it is widely believed Fayulu should have won the election. A possible reason for the discrepancy is the allegation of tampering against Joseph Kabila. He would go to great lengths to prevent his adversaries Jean-Pierre Bemba and Moise Katumbi, two politically powerful men who strongly oppose Kabila’s administration and who are both allies of Martin Fayulu, from accessing power. Thus, it could be in Kabila’s interest to pressure CENI to modify the results, declaring the winner to be Tshisekedi rather than Fayulu. Traditional paper-ballot used for the 2011 presidential elections. The method preferred by the voters, observers and civil coalition groups, but not the method adopted by the CENI. While the results are increasingly contested, new information regarding Félix Tshisekedi’s presidential candidacy is compromising. On January 18th, the rumours concerning Tshisekedi’s diploma in Marketing and Communication from the Institute of Commercial Careers (ICC) in Belgium were confirmed. The ICC explained that they do not offer a qualification in these disciplines and they did not issue Felix Tshisekedi’s diploma. This means Tshisekedi used a false diploma to present his candidacy. According to Tshisekedi however, he never presented a diploma with his application, only his professional experiences in politics. In the following days, the Constitutional Court (CC) of Congo could enter into legal proceedings and revoke Tshisekedi’s presidential status, even if the results by CENI were in fact valid. In the meantime, arguments in favour of Tshisekedi’s legitimacy and urging the recognition of the CENI’s reliability are circulating. This comes at the expense of international observers and CENCO. Still, most voters and international organizations are skeptical. The African Union held a conference in Addis Ababa on January 17th concerning serious doubts regarding the authenticity of provisional results. Consequently, many African states, including Rwanda, Ethiopia, Guinea, Tchad, Angola, Zambia and more requested the suspension of the official results’ proclamation. A week before, Martin Fayulu filed an appeal to the CC against the results and demanded the cancellation of the provisional results. Since January 15th, thousands of documents leaked to sources like Financial Times, TV5monde and RFI, stating that the true winner is Martin Fayulu. However, the Constitutional Court rejected Fayulu’s appeal on the ground that his proof was not sufficient on Saturday, January 19th. The CC added that the argument against postponing the vote of three provinces was “receivable but unfounded” because of the Ebola outbreak. On the same night, judges of the CC made a final decision in regards to Félix Tshisekedi’s presidential status. They confirmed his victory and he has since been officially pronounced the president of the Democratic Republic of Congo. While the electoral process concluded peacefully, there were many instances of corruption and fraud. Despite the fact that demands to recount the votes by various organizations, groups, and individuals were not respected, a member of the opposition won the election, which is a more promising outcome for DRC. The process was slow, not entirely fair, and was not accessible to the entire population, but the people remained calm and did not resort to protests. Many even upheld the rule of law and accepted the results of CENI, the only legal independent electoral commission. The 2018 election marks the first time since the country’s independence that the electoral process was not met with violence and brutal attacks. This is the first peaceful transfer of power in the history of the DRC, and a significant step toward civil order, political stability, and democratic consolidation. Congolese can certainly hope it will not be the last. *Sources are anonymous individuals known personally to the author. Their accounts provided useful details about events and general public attitude in light of difficulties getting information due to the continuing internet outage. Ornella Teta is a U1 student currently pursuing a degree in Political Science and International Development Studies. She specializes in African politics, human rights and International Law.